1. Layer of polyester gives mattresses clean finished look. 2. Very elastic 2" high-density foam contributes to unique feel. 3. Machine tufting properly tensions cover and quality filling materials for durable look and feel. 4. Two 3" layers of high density (1.8) convoluted foam for flexibility and support. 5. Overstuffed materials are properly tensioned and tailored to provide long lasting edge support. Hand made quality assures uniformity and quality control on each mattress. Generous amounts (approx. 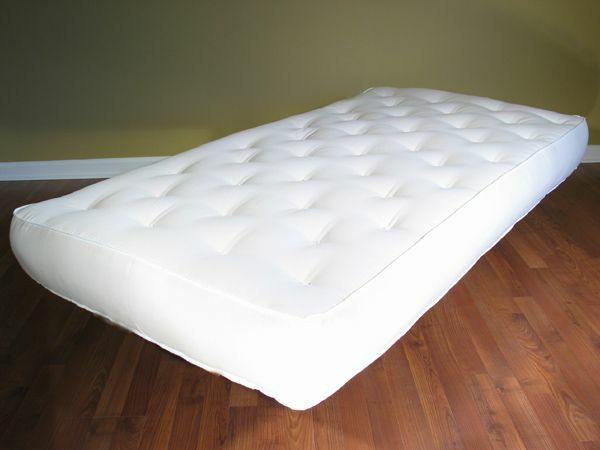 14) of different combinations of highly resilient foam and fiber that create an "inside out" force against the mattress ticking that is necessary for proper and comfortable support, whether sitting or sleeping. Characteristics: Comfort Level.. An elite plush soft comfort…feels like no other! Durability..10-12+ years, designed for everyday use.